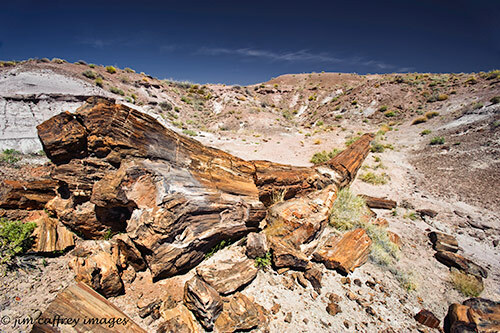 We just got back from a three day trip to the Petrified Forest/Painted Desert in northeastern Arizona. What an incredible place!. 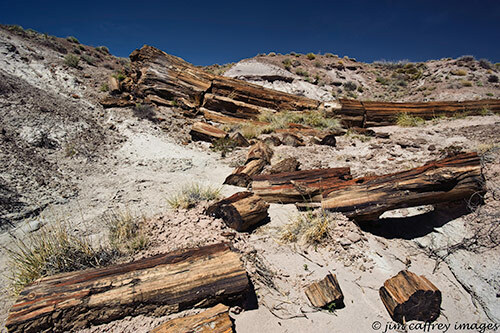 We put a lot of miles on our hiking boots, and saw some amazing and other–worldly landscapes, This was my first time there, but it will definitely not be my last. 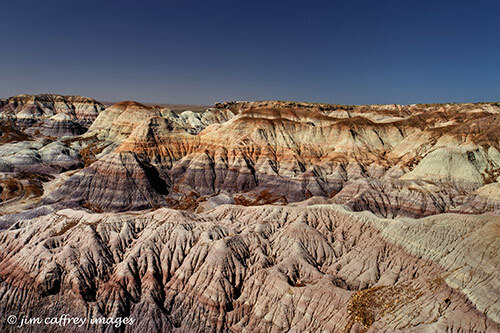 This image was made from Kachina Point which is an overlook at the Painted Desert Inn. 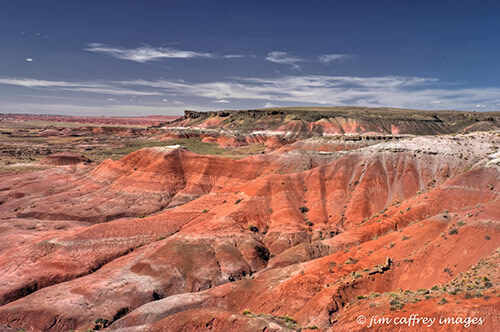 Before the trip was over, we hiked down into the Painted Desert/Black Forest Wilderness which is visible in the background of this photo.